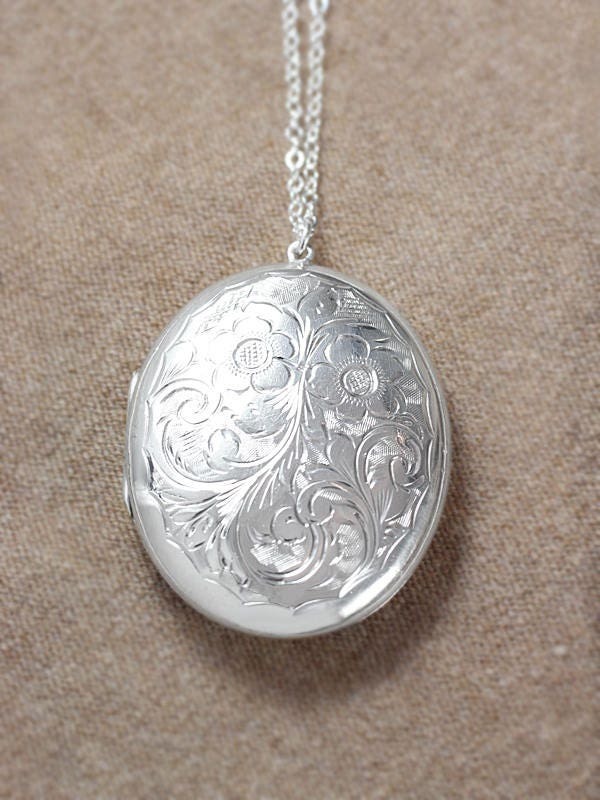 A beautiful vintage sterling silver locket is engraved with two flowers blooming among swirling vines. 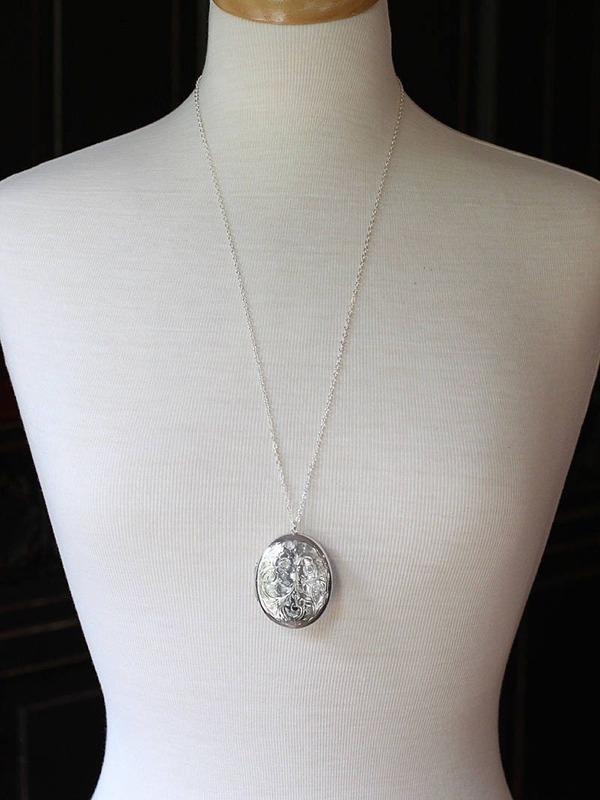 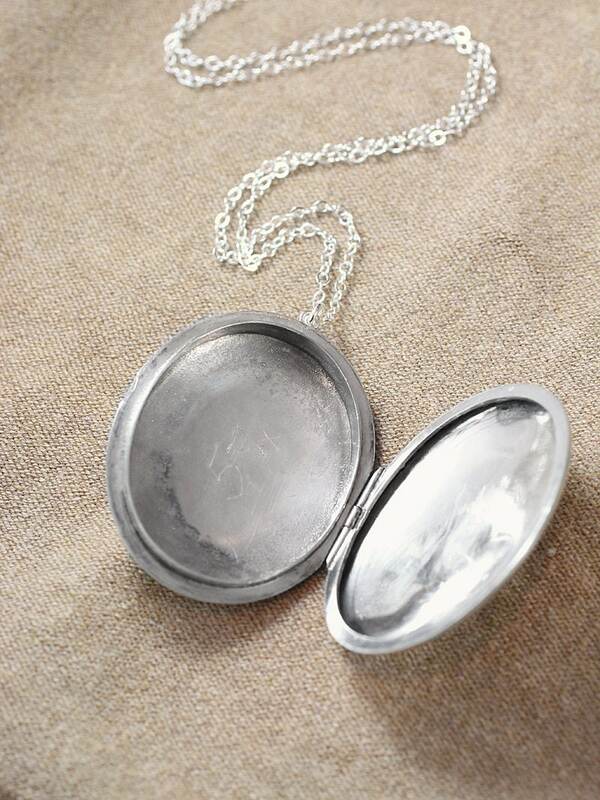 The locket opens to reveal two deep halves waiting for beloved photographs or a small trinket to be slipped inside. 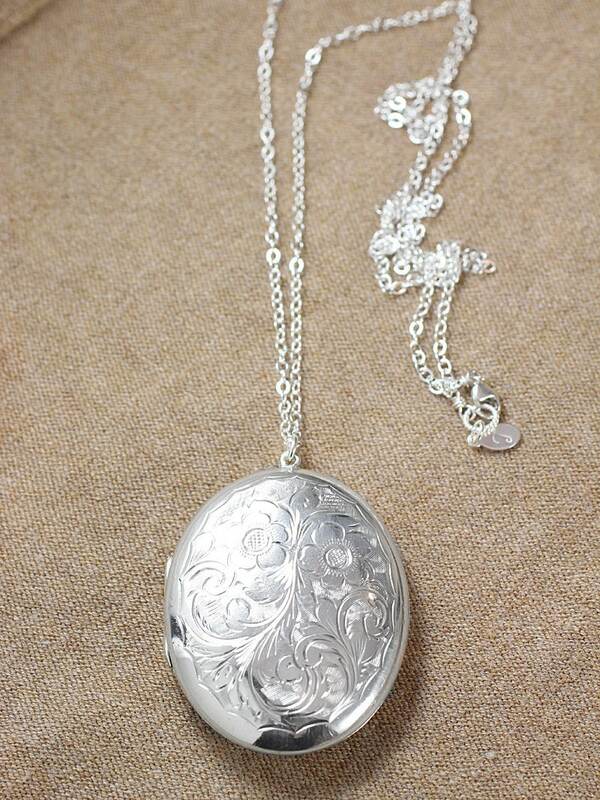 The locket dangles on a new long chain of sterling silver hand finished with a trigger clasp of the same. 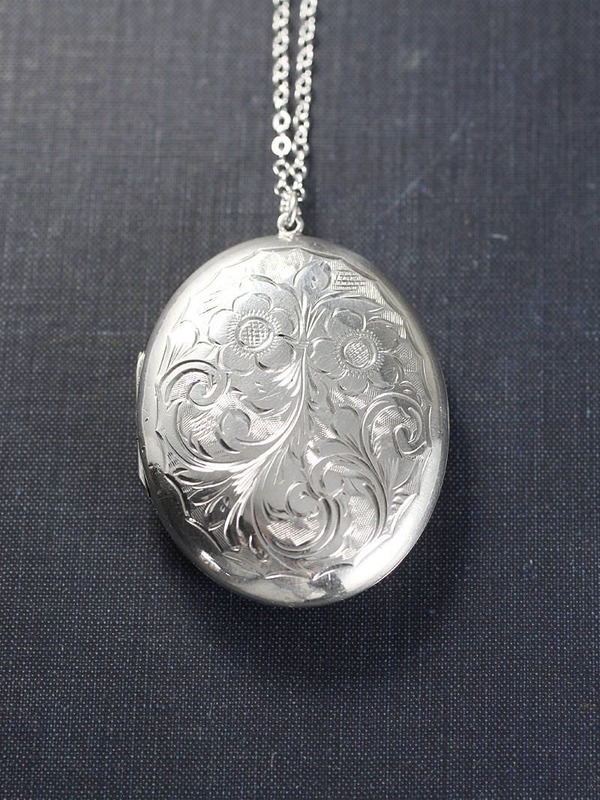 The locket is fully hallmarked for Birmingham England 1965. 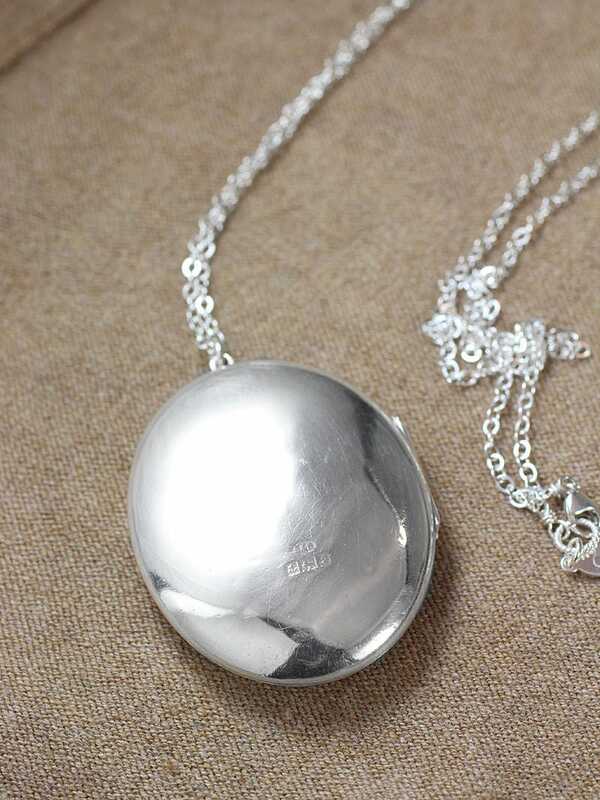 UK Hallmarks: an anchor for Birmingham, England's assay office, a lion passant for solid sterling silver, the date letter "Q" for 1965, and the maker's mark "S & B"